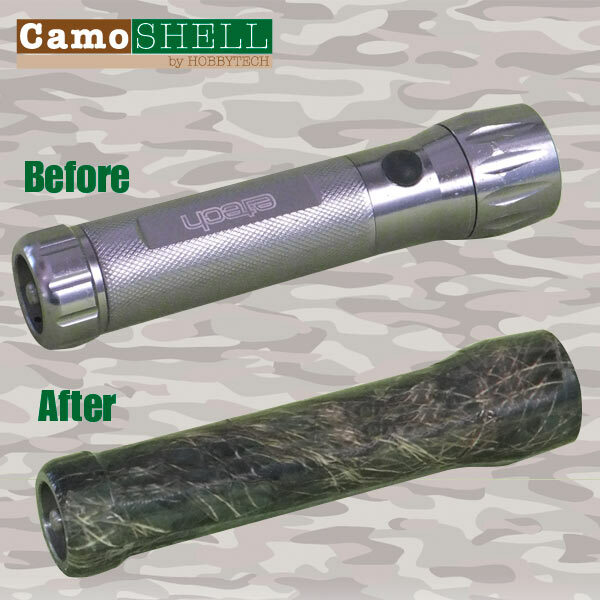 CamoSHELL by HOBBYTECH is our latest development in concealment. 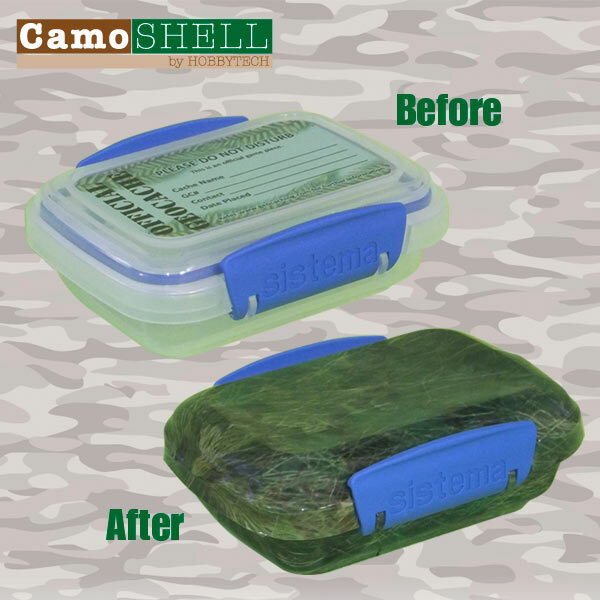 This is the perfect product for a fast 'camo job' on your next cache placement. CamoSHELL is a heat shrinkable PET (Polyethylene terephthalate) sleeve, similar to which a lot of drink and food containers are made from. The CamoSHELL sleeve is applied with the use of heat. 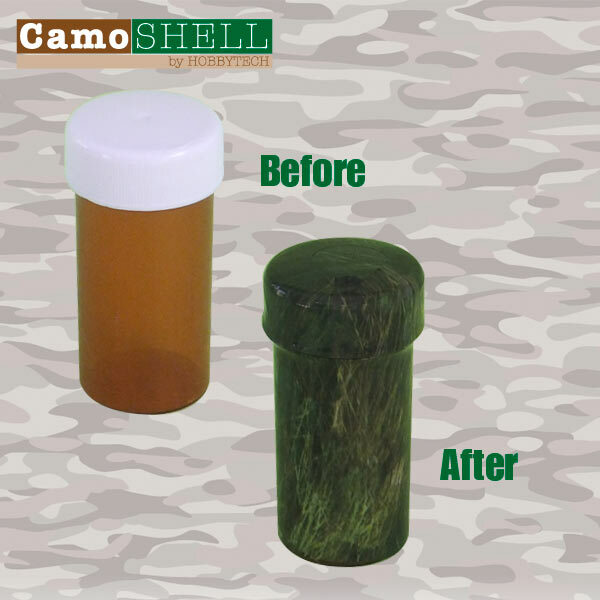 Once heated to the appropriate temperature (85-100 Degrees C) will shrink by up to 75% of its diameter while having next to no shrinkage in its length, making CamoSHELL the perfect product when you are wanting a quick, easy, tough and effective camo covering for your small items. Once applied, CamoSHELL becomes a very robust covering that will contour to the product it has been applied to, providing protection from the elements and concealment from the unaware. It is waterproof and abrasion resistant. 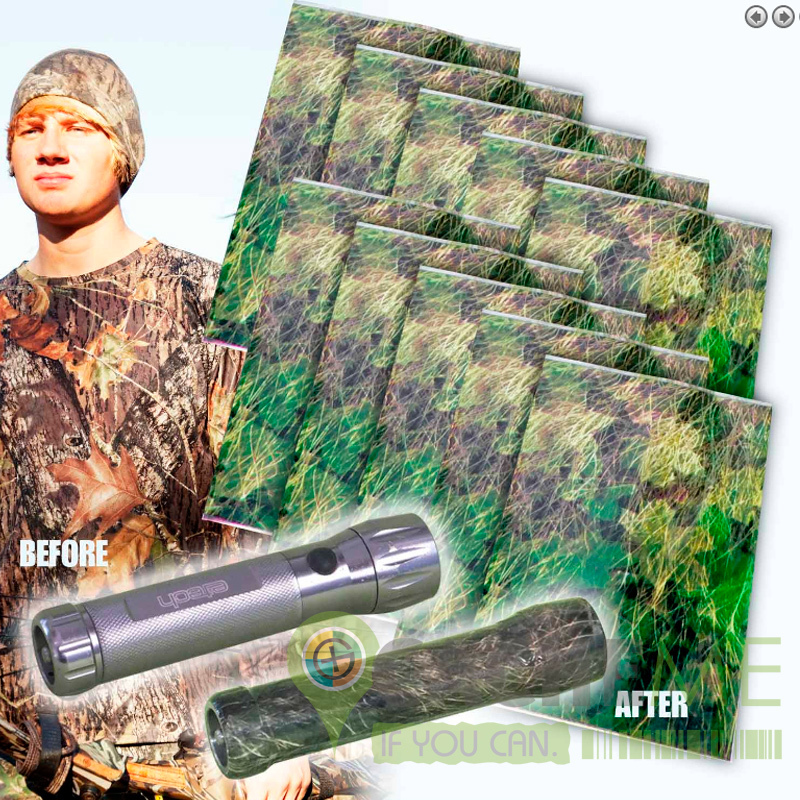 The end result is a high concealment protective skin that is water resistant and extremely durable. WARNING - To avoid injury, use extreme care when using heat sources to shrink the film.